With Klarna Checkout, you do it extremely easy for your customers to order from your webshop through Klarna's services account / mortgage payments and invoices but also credit card payments via VISA / Mastercard and direct bank transfer via the largest banks. 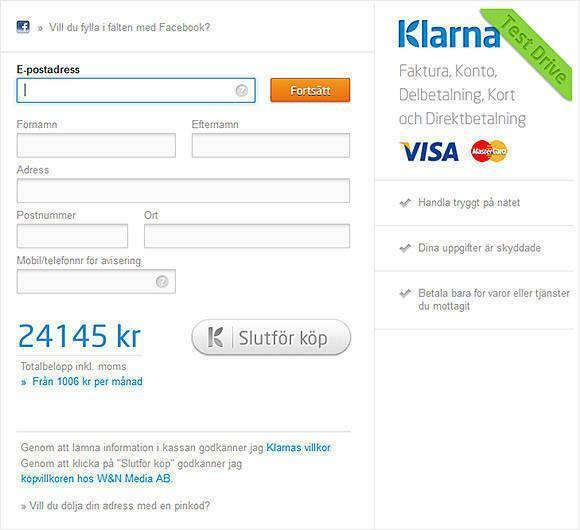 Then Klarna Checkout covers all common payment methods in Sweden today is a comprehensive solution for your webshop. But our module is still adapted to offer additional payment methods such as Payson, PayPal or your own manual billing. 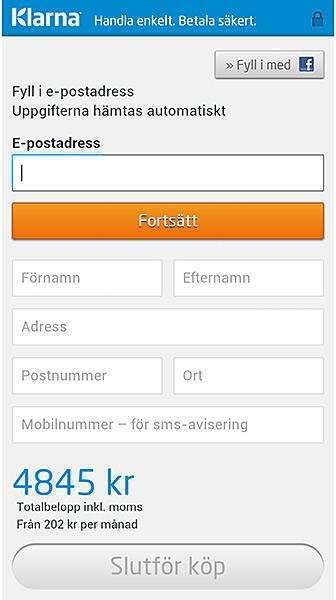 We have installed a payment module with this on our demo of Virtuemart which is on http://demo.virtuemart.se/ where you can test with our test account. Since we are partners with Klarna, we offer free of charge to install our shopping cart and payment module on your web hope! The module is adapted Virtuemart 2.